Beauty can’t be rushed. 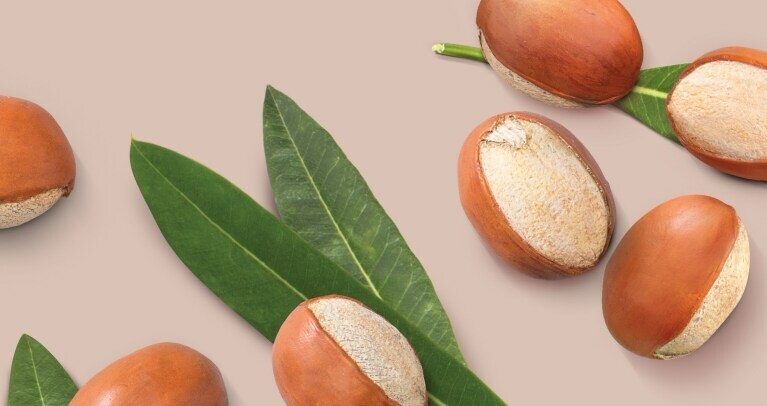 We heart shea butter, an ingredient known to be moisturizing, which comes from shea butter trees that take 10-15 years to start bearing fruit. They say when you see this beautiful fruit the results seem worth the wait. We've carefully selected and partnered with a supplier to source our shea nuts from Ghana and Burkina Faso, two countries where harvesting is one of the key jobs for women in the region. What does shea butter do for you? Luscious shea butter is known to be an exceptional moisturizer. Our collection, infused with shea butter, helps provide rich hydration to your skin and hair, while sealing in moisture and natural oils.